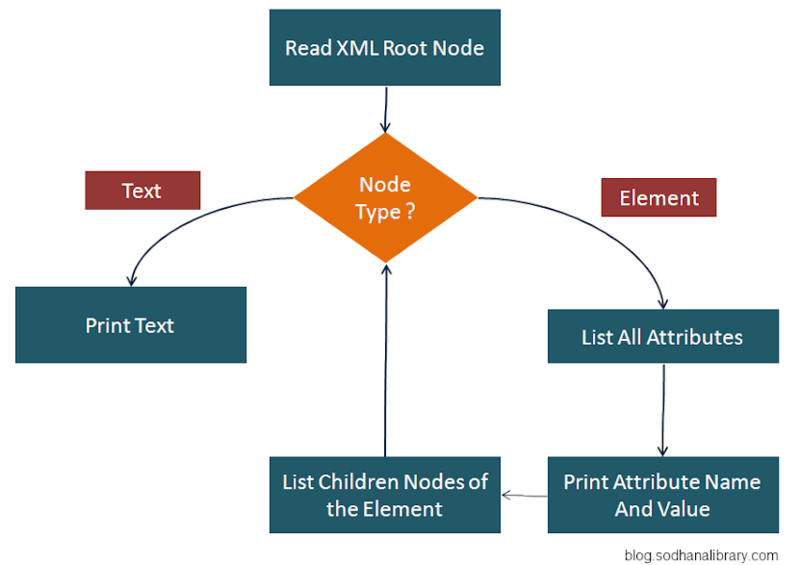 This tutorial teaches how to read and differentiate different type of XML Nodes. You might also interested to read parsing JSON tutorial at Read JSON with JAVA using Google-gson library. 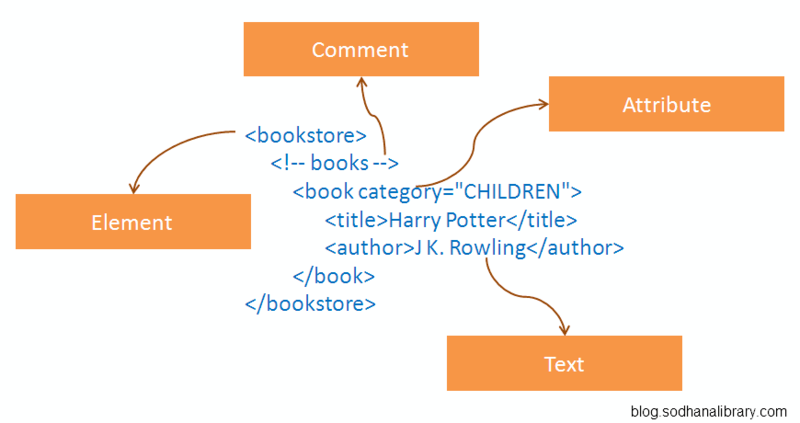 String xml = "<?xml version=\"1.0\" encoding=\"UTF-8\"?><bookstore>" + "\n<!-- Servlets --><book category=\"CHILDREN\">"
+ "\n    <author>J K. Rowling</author>"
+ "\n    <year>2005</year>" + "\n    <price>29.99</price>"
+ "\n  </book>" + "\n  <book category=\"WEB\">"
+ "\n    <author>Erik T. Ray</author>"
+ "\n    <year>2003</year>" + "\n    <price>39.95</price>"